The Royal Garden 7-Piece Patio Dining Set helps you create the ideal outdoor dining setting for a larger group of people. 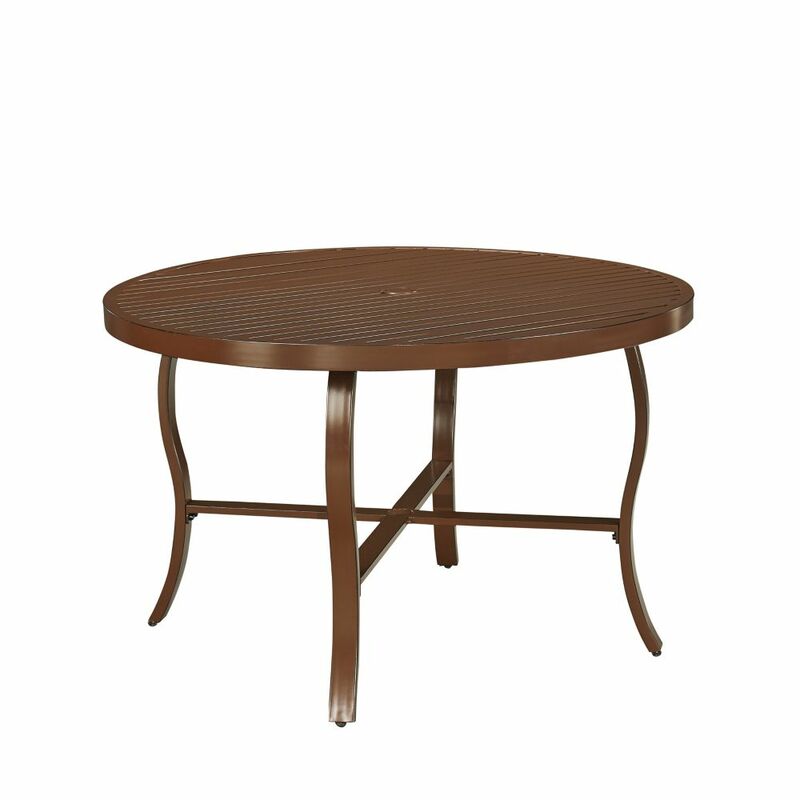 This steel set comes with padded motion sling chairs and an elegant tile-top dining table, perfect for outdoor meals or gatherings with friends and family. Finished in powder-coated paint, this set brings style to your outdoor seating area, while a rust-resistant steel frame and weather resistant sling fabric incorporates comfort and durability. Stack the odds for carefree outdoor living in your favour with the ingenious Kerman dining table and chair set. Crafted of eco-friendly acacia wood in a teak finish, 4 director-style chairs fold and tuck under a foldable hexagonal table for easy storage. This is a great addition to your home whether in the country side or busy city.